Hi friends. 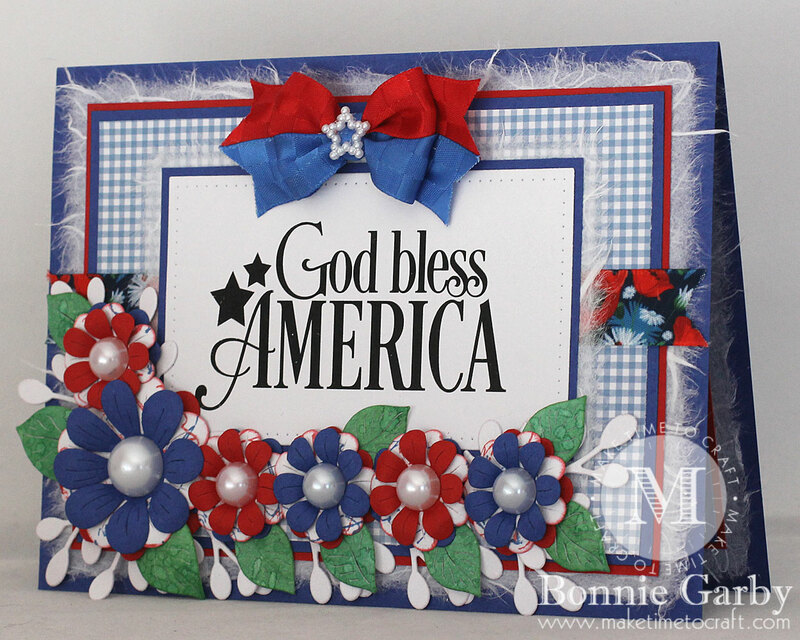 Today I’m sharing a pretty Patriotic Floral Note Card I created using pretty dies from Cheery Lynn Designs along with ribbon from the May Ribbon Club Assortment from Really Reasonable Ribbon. 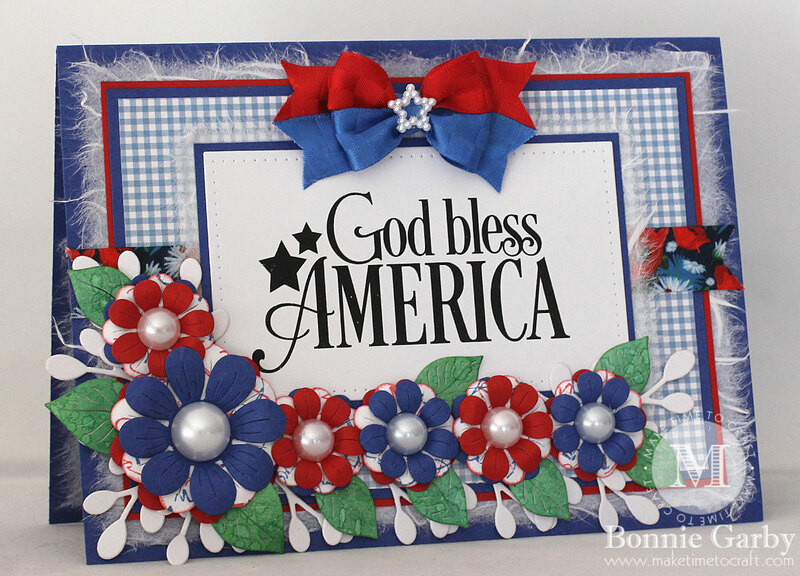 The Floral Bouquet Kit die set from Cheery Lynn Designs is so versatile that I find myself using it again and again – if not for the flowers, then certainly for the foliage pieces. This set is a great addition to any die collection. 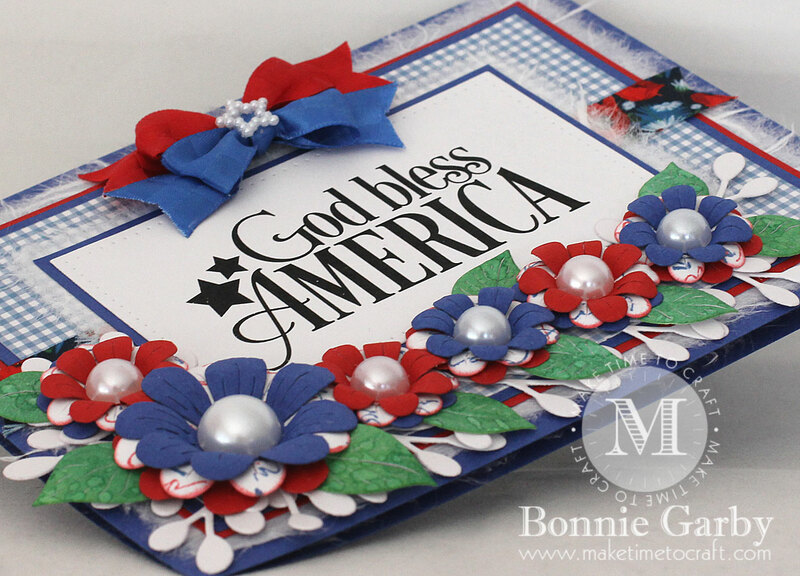 The flowers were cut in red, white and blue cardstock. I inked the white layers with red and blue ink. I then shaped the petals and assembled each flower, finishing off with a White Half Pearl for the center. I then arranged the foliage pieces around the sentiment panel and then adhered the flowers over that. Great card. Love the flowers you made. Just beautiful! Thanks for joining us at Aud Sentiments, good luck and hope to see you again! 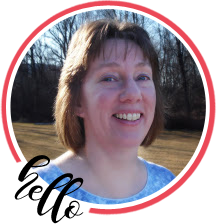 Thanks for joining us at The Crafty Addicts. Very nice and Good luck! 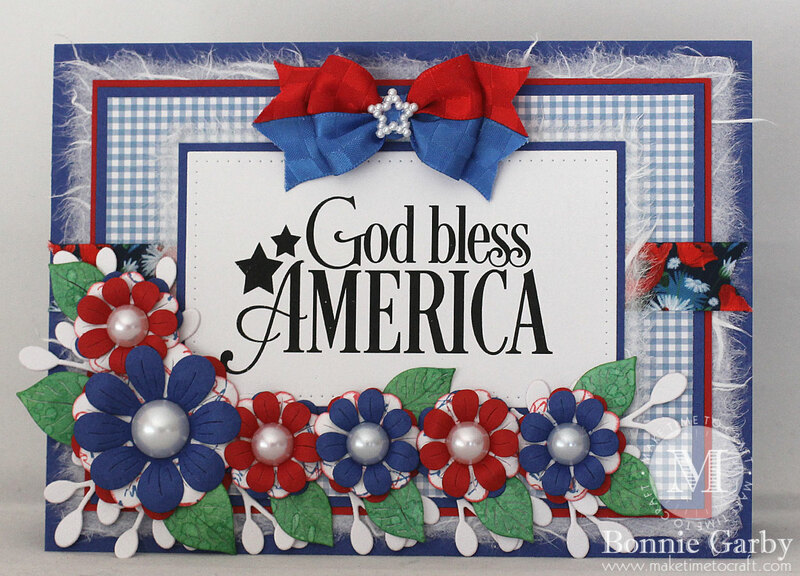 I love your beautiful red, white and blue design. Gorgeous! Thanks for playing along with us at Scrapy Land. Gorgeous card a lovely bow and embellishments. Thanks for joining us at Craft Rocket.